"created with a dream of providing healthy, holistic products to our community at affordable prices"
Wags and Whiskers was created back in 2004 with a dream of providing healthy, holistic products to our community at affordable prices. We started as a holistic pet food delivery service in East Nashville and eventually grew to a full-fledged brick and mortar shoppe. What sets us apart is that we practice what we preach! There isn't a product in our stores that we don't believe in and wouldn't use for our own pets. Our mission is so important to all of us that you'll feel it the moment you enter our doors. We are very proud and humbled by the support that Nashville has given us through the years and we promise that the well being of pets will always be the driving force in everything that we do at Wags and Whiskers! 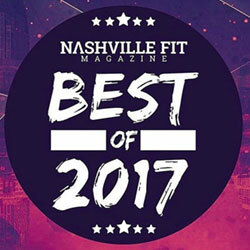 Best Pet Food Store in the Nashville Fit Best Of Nashville Health and Fitness 2017! 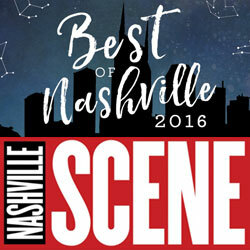 Best Local Pet Shoppe in the Nashville Scene Best of Reader's Poll every year since 2008. Wags and Wiskers proudly supports and promotes organizations that help pets and their families and make our community a better place to live. You'll also see us around at community locations and events. Come say hello and get involved.